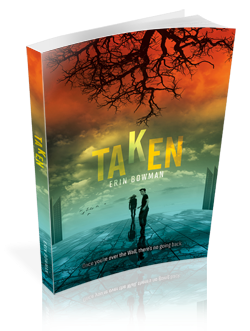 I'm participating in the Chapter reveal blog tour of Erin Bowman's Taken. Check out Chapter 4 below and enter the international giveaway for a chance to win Erin's debut novel. *Special thanks to HarperTeen for this wonderful contribution. I can't wait to read this one. Thanks for the giveaway. Do you have a downloadable PDF version available like the other blogs? Unless I'm missing it somewhere? The iframe method is testy in Chrome on my Mac. These chapters have been great so far! Thanks for hosting part of this tour! I can't wait to read all of Taken. Sounds like an amazing book! Can't wait to read it :) Thanks for the giveaway. Good luck. This tour does rock! Taken look really good. Thanks for sharing, Shane! Following along. What a great idea to reveal a chapter each day! I've been looking forward to this one for a while. Taken is one of the books I've been looking forward to read in 2013!! Thanks for the INT giveaway. This sounds great. I have it on my TBR list. Wow! I can't even tell you how excited I am about this book. I'm counting the days. Thanks for the giveaway. This book looks really great! Thanks for the giveaway. Ooh, Taken looks interesting! Will definitely add it to my TBR pile. no far additional sweaty exercises basically to make sure that your abs seem outstanding.